The people who access our Studio are all ages from 18 to 74. They have a learning disability, Autism and Aspergers. Some are supported to live in the Community by Yourway Support. Others are referred to us by professionals or recommendations and are offered taster sessions to see what they enjoy. 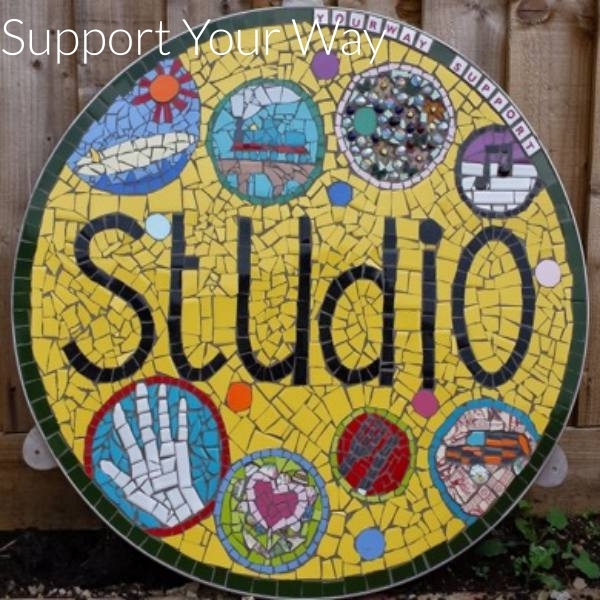 We offer people choice in what they make as well as inviting artists/craftspeople from the Devon Guild Craftsmen and Flameworks to work with us on special projects such as making a mosaic sign for the Studio or pieces of ceramics. We offer people the opportunity to learn new skills in a safe friendly environment as well as making new friends and having fun.